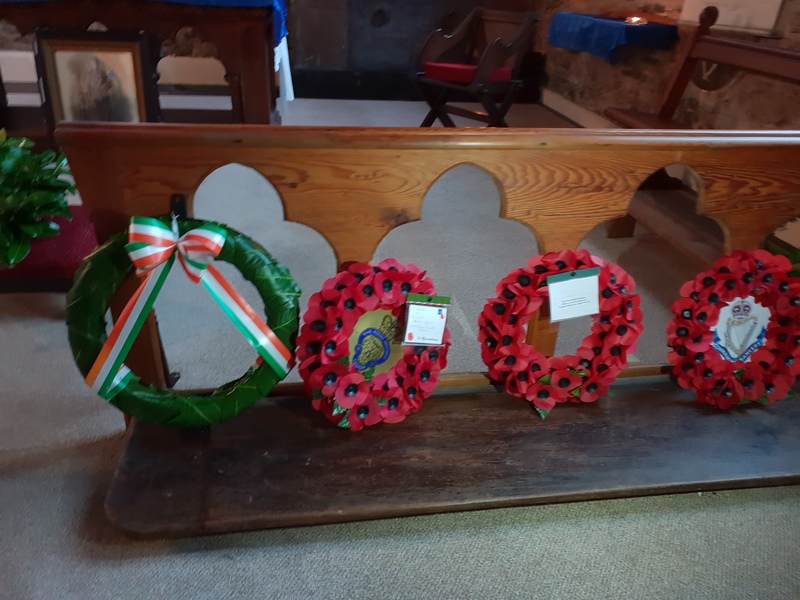 Nearly 500 people from throughout East Cork and West Waterford attended the dedication of a new war memorial in the Collegiate Church of St Mary the Virgin, Youghal, County Cork on Sunday afternoon 2nd December. The new memorial comprises eight panels which list the names of local people who fought and died in both the First and Second World War. They were installed in a side chapel which was refurbished and newly dedicated as a Chapel of Remembrance. 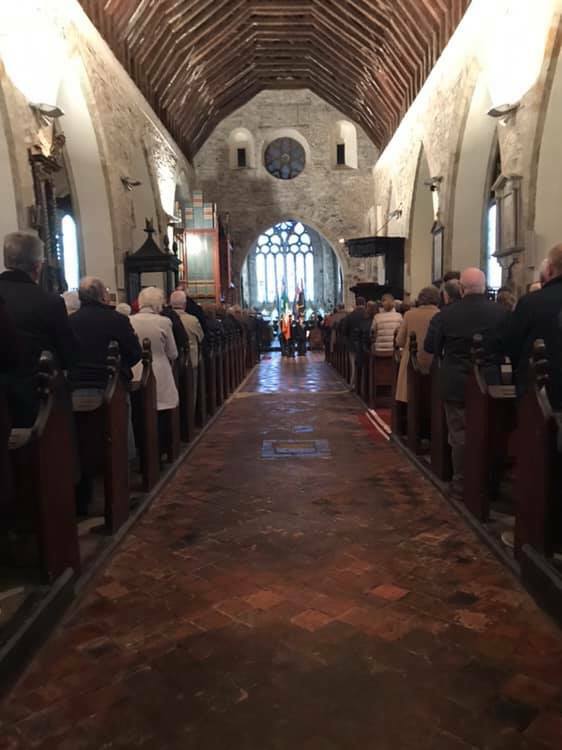 The Collegiate Church of St Mary the Virgin, Youghal, County Cork was full for the dedication of a new war memorial. Three weeks ago, with great media coverage, we remembered the end of the First World War. Now, however, many talk about “moving on”. This raises deep human and philosophical questions – probably not for today – about if or when we should stop remembering. The Bishop spoke about the project in St Fin Barre’s Cathedral over the past four years of gathering photographs of Cork people who died in the First World War. ‘Of the 154 on this new memorial here in Youghal, I was only able to find four’, he said. Some of the panels of the war memorial. 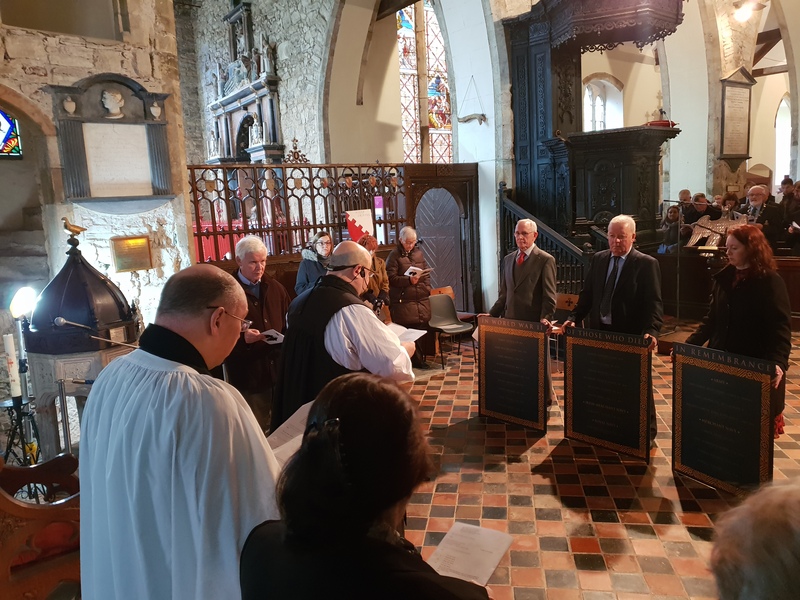 Watched by the Reverend Andrew Orr, Priest-in-Charge of Youghal, the Bishop, Dr Paul Colton, dedicated the memorial panels prior to their installation. Following the dedication of the eight memorial panels, the names of nearly 200 local-born people who died were read, before an Act of Remembrance. There were readings in English, Irish, French, German, Finnish and, by a member of the Jewish Community, in Hebrew. Music was provided by the Youghal Choral Society. The youngest recorded name of those who died is 16 year old Private David Cropley from Ballycotton, and the oldest 65 year old Lieutenant Walter Croker- Poole from Ardmore whose pilot boat hit a mine at the mouth of the River Mersey. Another tragic mine disaster saw five Royal Navy Reserves from Youghal die when HMS Laurentic hit German mines in Lough Swilly on 25th January 1917. 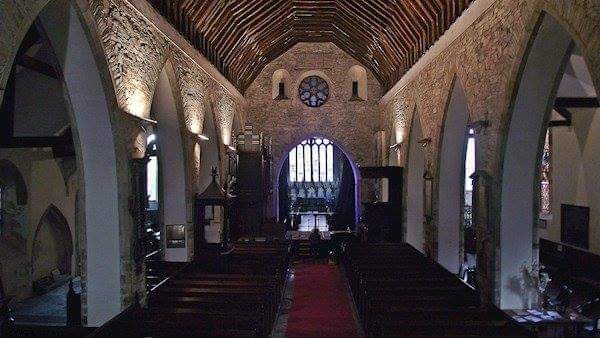 St Mary’s Collegiate Church, Youghal, County Cork. The Reverend Andrew Orr, who organised the Service paid tribute to everyone involved in the project. 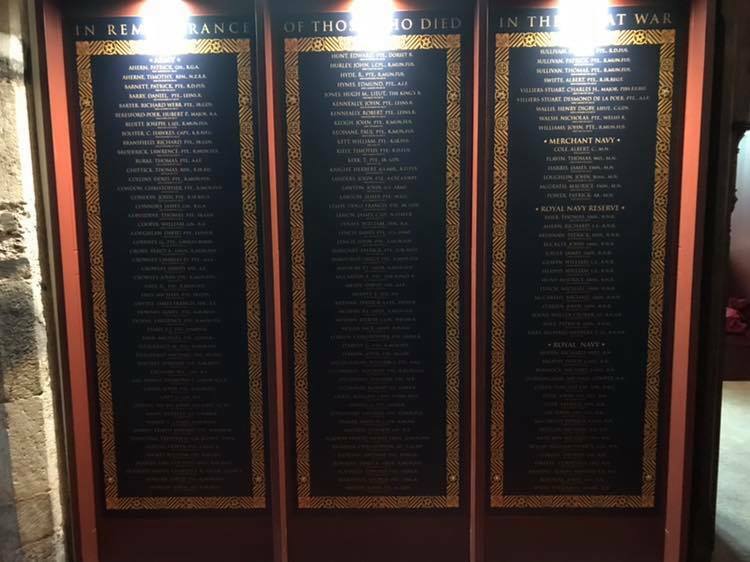 The memorial follows years of research by local men Norman MacDonald and Billy Healy, who have worked very hard to uncover the names of approximately 900 people from Youghal and surrounding districts who signed up for World War I. The Service began with a procession led by a piper, who led in the clergy, the colour party, and a procession of light. Relatives of those who died carried candles representing the combined total of the world war years. Other clergy in attendance included the Reverend Edwin Hunter, who was priest-in-charge of Youghal when the project began, Canon David Herlihy, and Father Tom Brown. Leading the civic dignitaries was Cllr Michael Hegarty, representing the Mayor of County Cork, along with Councillors Michael Ahern and Noel Collins. Minister David Stanton, TD was in attendance along with fellow Cork East, T.D. Kevin O’Keeffe. Deirdre Clune MEP laid a wreath on behalf of the nation. Attending the service also were representatives from An Garda Síochána, the Defence Forces and Naval Service, the Royal National Lifeboats Institution, community groups, the Organisation of National Ex-Servicemen, the Royal British Legion, associations (the Connacht Rangers, The Munster Fusiliers, the Cork Western Front Association), community groups, The Boys’ Brigade, and Youghal Masonic Lodge, some of whose members also died in the First World War. One of the transepts of the Collegiate Church has been refurbished and was dedicated also yesterday as a Chapel of Remembrance. Some of the many wreaths laid in the newly dedicated Chapel of Remembrance. This entry was posted in Bishop, Centenaries in Ireland, Centenary, Church Services, Decade of Centenaries, Dedication, Ecumenism, Memorial Service, Remembrance. Bookmark the permalink.